Back a few weeks ago, I wrote a brief piece about Rod Millen’s Pikes Peak-winning Toyota Celica, and how it would be running again at this year’s Leadfoot Festival, a vintage hillclimb event hosted by Rod himself. 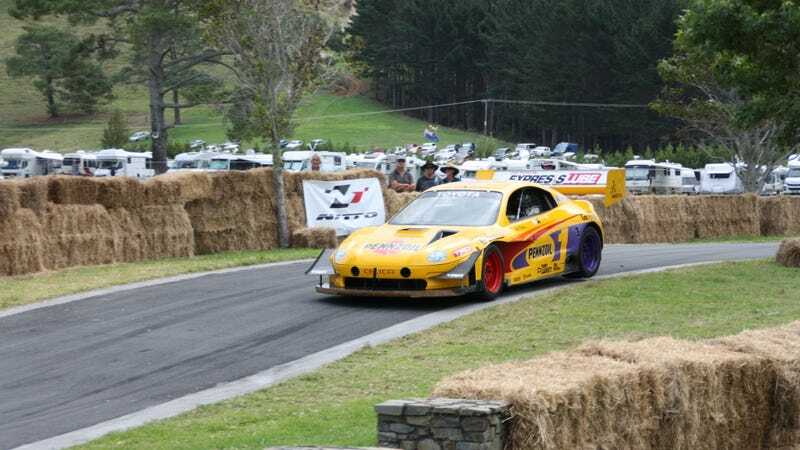 The driveway to Rod’s ranch in New Zealand serves as the Goodwood-esque hillclimb venue, and it seems to have grown exponentially year on year. A few weeks pass, and I receive a Facebook message from one avid reader, Mister Chad Bauer. Bauer had attended the Leadfoot this year, and wanted to know if I’d be interested in using his photographs to craft a follow-up depicting how great the show really is. Obviously, as I haven’t been to the Leadfoot myself, I jumped at the chance to pore over a couple thousand on-the-ground and in-the-mix shots from the perspective of an enthusiast. They did not disappoint. Bauer relayed to me that he is not a photographer by trade, but rather an engineer. I think he intended to blunt my enthusiasm slightly, lest I believe some pro-grade snapper had just given over his portfolio for the picking. I was, nevertheless, incredibly impressed with the subject matter, the event itself, and Mr. Bauer’s ability to capture the event in focus. As such, here are a few dozen of my hand-picked favorites from the gallery of literal hundreds. This year, Leadfoot was bigger than ever, and attracted some of the most incredible racing cars from all around the world. Open wheel, sports prototypes, touring cars, drift cars, rally cars, and even some weird home-built contraptions that look like a lot of fun. Chad Bauer relays his experience at Leadfoot:“It’s great every year! I think the secret is the old school purity of it; No steel fences, no grandstands, all access to the pits, and no politics! Don’t worry, the photographer didn’t get creamed by the truck.